Preheat the oven to 180°C/350°F. Butter ten ½ cup (120ml) capacity fluted pans. Place the flour, icing sugar and almond meal in a bowl and stir to combine. Make a well in the center, add the egg whites, butter and vanilla and stir well to combine. Divide batter among prepared pans. Top each with ½ teaspoon of jam and bake for 10-20 minutes or until golden and cooked through. Allow to cool in the pans for 5 minutes then carefully unmold onto a wire rack. Dust with icing sugar before serving, if desired. Great picture! It really showcases this lovely treat! I love colours of this pic! Wow! Looks very delicious and your pictures are very, very beautiful! These look so cute! And I have some apricot jam waiting to be used up. These look delicious, your blog is definitely one of my favourites. It always makes me so hungry - this post is no exception. Heart Hand Made, I love it too! Tks for stopping by! Mother Rimmy, thank you very much! Lulu, thank you! You're far too kind. Shabs, thank you, sweetie! I love your photos, too! Kirbie, thank you! I hope you give this a recipe a try, it's really good! These look luscious! Reminds me of my ouma (granny), she used to make apricot jam all the time. Whenever I see apricot jam I think of her. Sara, thank you! These cakes are very moist, I hope you give this recipe a try! These look AMAZING!! 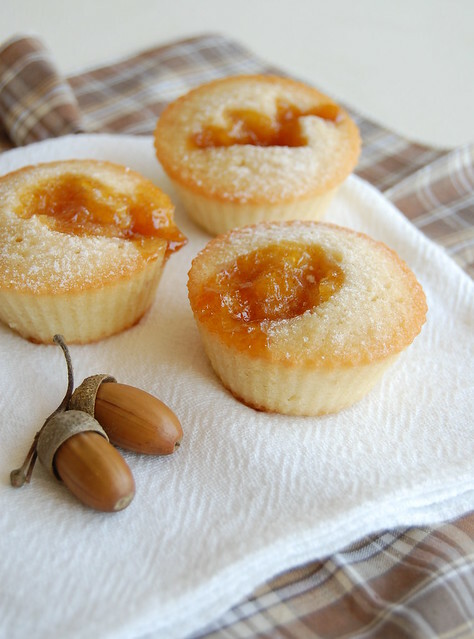 I shared this on my blog today (for National Apricot Day! haha.). Thanks so much for the recipe! I'm going to have to try this. Mmm!